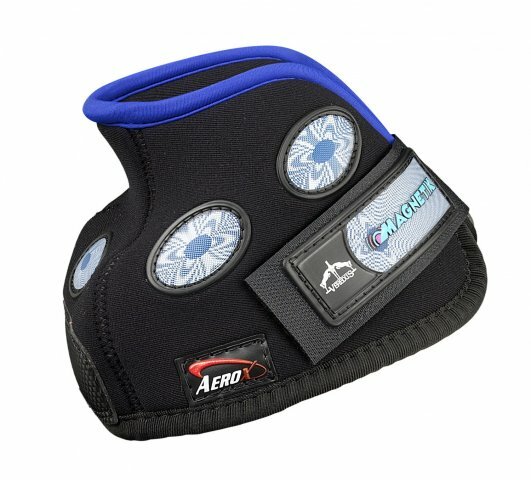 Therapeutic boot equipped with 10 neodymium magnets (per pair). Designed to reduces swelling and pain, speed up the regenerative process and elimination of toxins whilst stimulating blood flow. The magnets develop a power of 2400Gauss each, distributed across the bulbs, pastern & coronet bands.